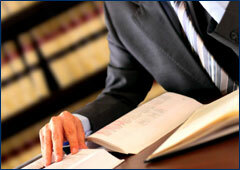 Scott Hutchens and Troy McRitchie obtained a verdict January 9, 2013, in Pinellas County. The case involved a side impact accident with significant property damage. Plaintiff complained of cervical and lumbar protrusions, which were confirmed on MRI testing, with radicular symptoms confirmed by the treating orthopedic surgeon. Medical treatment included conservative care and epidural steroid injections. The defense admitted liability and focused on the issues of causation, permanency, and damages. After a three day trial, the jury awarded approximately 60% of the claimed past medical expenses, 10% of the requested future medicals. More importantly, the jury found that the accident did not cause a permanent injury, so no pain and suffering damages were awarded. The defense filed a reasonable Proposal for Settlement early in the case. Accordingly, it is anticipated that the final judgment will be a net “zero”.